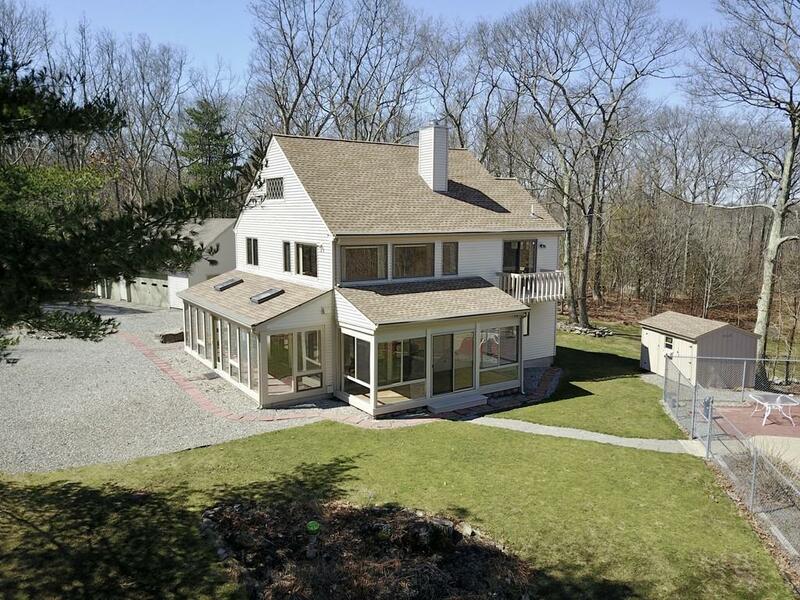 ***Motivated Sellers, want offers***Move right into this totally private 10.9 acre retreat. Sit back and relax by the Gunite Pool or the 2 enclosed porches and take in the day. First floor includes an office, laundry, 1/2 bath and living room with a fireplace. Updated kitchen opens up to the dining area. Second floor has another living room with wall to wall windows and 3 bedrooms and 2 full baths.. The master suite has a balcony to over look the yard/pool. 3 garage and a shed for storage. New on demand hot-water system, irrigation for the lawn. Finished 3rd floor with a pool table and bar.